Yayasan IDEP Selaras Alam hasn't added a story. 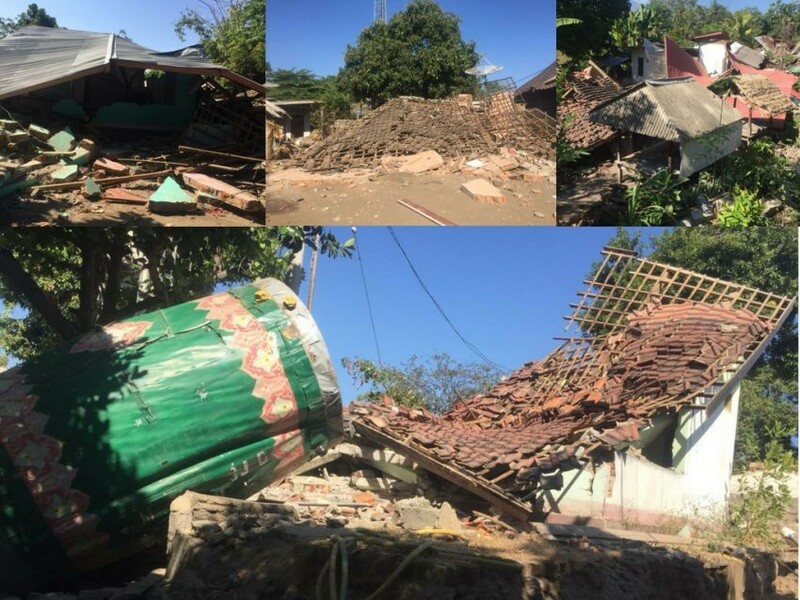 The impact of the SR 7.0 earthquake that rocked the region in West Nusa Tenggara on Sunday (5/8/2018) at 18.46 WIB has had a broad impact. Until early Monday (6/8/2018) at 02.30 WIB recorded 82 people deaths due to the earthquake, hundreds of people were injured and thousands of homes were damaged or distroyed. Thousands of residents fled to safe places. The most affected areas are North Lombok, East Lombok and Mataram City. Based on a report from the West Nusa Tenggara Province Regional Disaster Management Agency, out of 80 casualties, the victims came from; North Lombok Regency (65 people), West Lombok (9 people), Central Lombok (2 people), Mataram City (4 people), and East Lombok (2 people). Most of the victims died from being hit by collapsed buildings. IDEP Foundation will assist refugees residing in the Bayan District, North Lombok (IDEP Foundation has assisted the area since 2015). 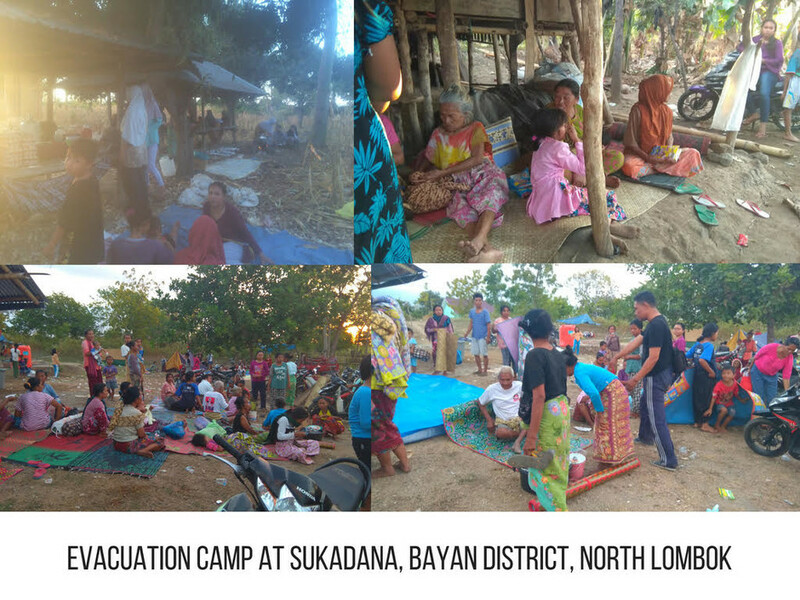 People in North Lombok district, especially Bayan District, have evacuated to open areas and because of the continuing aftershocks the residents prefer to stay outdoors. The people of Senaru Subdistrict, especially those in the vicinity of Bayan, are the most affected areas with the highest number of casualties. Many villages in this region lost access to the road because they were damaged so it has been difficult to reach aid or communicate. Assistance will be channeled directly through our field staff in Mataram who will collect and purchase all requirements, and provide directly to IDEP assisted posts. 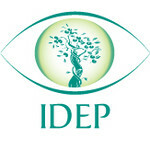 IDEP Foundation is a non-governmental organization established in 1999. Engaged in disaster risk reduction and emergency response and environmental conservation with a permaculture approach. 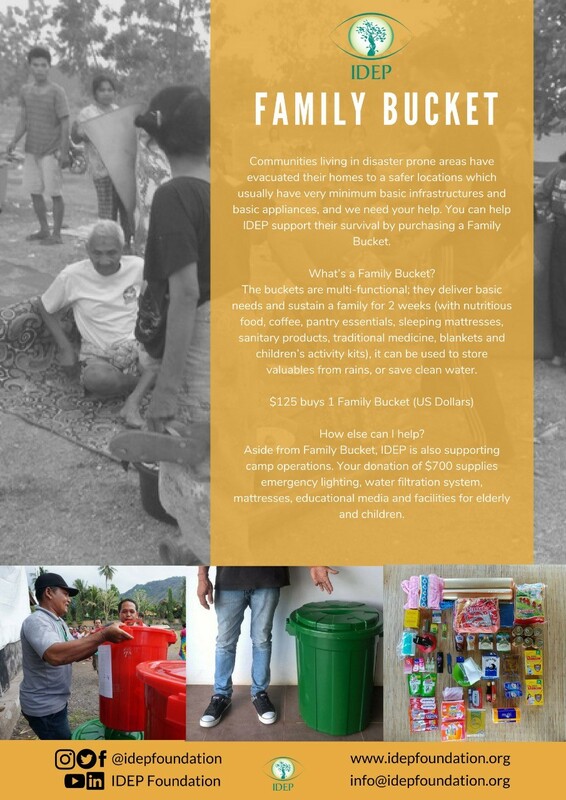 IDEP has helped many communities in disaster affected areas such as Aceh, Mentawai, Padang, Merapi, Jogjakarta, Bali, Kupang and East Flores. Yayasan IDEP Selaras Alam hasn't posted any updates yet. Yayasan IDEP Selaras Alam is managing the funds for this campaign.